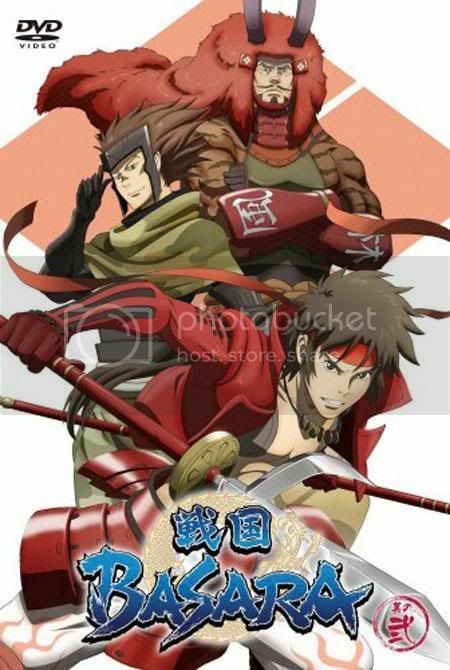 For the rest...All Sengoku Basara fans and Yukimura fans, enjoy! "Where did Black & Flaming Hot go?" I got lazy on editing Yukimura's outfit to this which was the purpose to make it the original. I might make it if there are enough people wanting it. Since, I'm lazy and all and still a bit crazy, I got the idea on this "partly" from the outro of the anime. You can see some similarities in it but it's totally different. I can't be arsed taking a screen and such so meh to you. It ain't important. As for a small explanation on Storm/Chrissy's behalf I created a short sucky and quick tutorial on how I made the fire so feel free to use it and should explain a lot on this wallpaper (it took quite long to make anyways >.>). I don't have anything else to say except the Tiger head where I just too a reference picture which none looked like that...Meh! Also removed the text that used to be around since I liked this more. Now, put your gunz on and SCREAAAAAM! Beautiful! I love the effects you used. 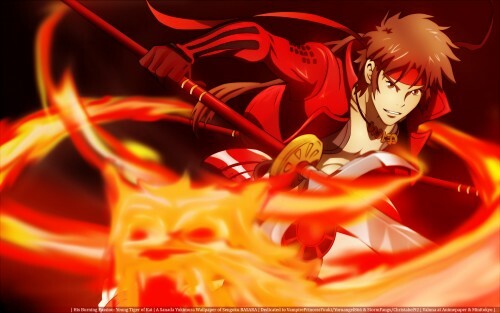 And Yukimura looks HOT! Great job. Favorite! anyway, the fire around is really cool, adore it, and thanx for tutorial. this is pure love >D i love your walls! somehow you can feel his passion in this wall. I like the flames and the color. every thing is made so well. i think you should have spent more time on lining his eyes, just a pet peeve of mine. the fire shouldnt be so uniformly blurred, some parts should be sharper than others to imply movement. Awesome job. It looks so detail compare to original scan.